MUZAFFARABAD : (Parliament Times) The AJK Prime Minister has directed the cabinet ministers and secretaries to ensure complete and transparent use of development budget before the end of the year. Addressing a review meeting of half yearly development projects on Wednesday he said all the development projects with quality and standard should be completed well in time. He urged for preparation of 5 years planning for development of AJK, focusing on projects of health, education, infrastructure, potable water, and creation of employment opportunities. He said all the departments should ensure expenditure of this quarterly by March 31. He directed to overcome the shortage of water in rural areas adding that all the development schemes in the areas along the LoC should be completed. He thanked federal government for provision of uninterrupted funds for development expenditure. He said the main target of PML-N government included Kashmir liberation struggle, good governance and steps for durable development. Government had to take tough decisions to achieve these targets, he stated. The meeting reviewed in detail the pace of development for achieving the set targets for the current fiscal year and expressed its satisfaction on the pace and standard of work done. 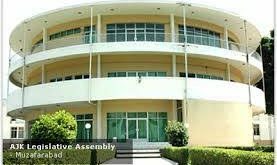 The meeting was told by Additional Chief Secretary General Dr. Syed Asif Hussain that 22 billion rupees had been set aside for development expenditure during the 2018-19. 20 billion and 20 crore had been released for local annual development programme. The meeting was told that 6 billion 50 crore 70 lakh rupees had been spent by December 2018. Shah said that 14 billion and 14 crore had been released for third quarter which are being spent in accordance with the set targets. He further told the meeting that agriculture, works, forests, physical planning, environment, electricity, information departments and projects with the financial assistance of foreign institutes have been incurring according to targets from development budget. He said water supply schemes in Rawalakot, Bagh and Muzaffarabad should be completed at the earliest. He also urged for early completion of Mirpur, Dudiyal and Nakayal water supply schemes and pointed out that due to water pollution in Kotli a number of diseases had spread in the district. Cabinet ministers Ch. 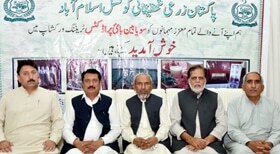 Muhammad Aziz, Mushtaq Minhas, Dr. Najeeb Naqi, Raja Nisar Ahmed, Raja Naseer Ahmed, Sardar Farooq Tahir, Dr. Mustafa Bashir, Ch. Shahzad Mehmood, Sardar Mir Akbar Khan, Nasir Hussain Dar, Ahmed Raza Qadri, Raja Sadique, Ch. Muhammad Ismail, Barrister Iftikhar Gillani, Ch. 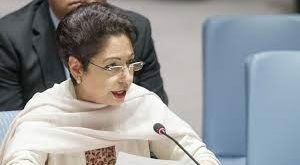 Rukhsar Ahmed, Ch. Muhammad Saeed, Javed Akhtar, Noreen Arif, and Syed Shaukat Shah attended the meeting.